Cecily Brayton was nervous. In less than two hours she would be making her way to Haddaway Hall, a place she had not visited in quite some time, even though it was just down the street from Brayton Hill. She could remember with almost painful clarity when she had been a regular visitor there, playing piano for old Mrs. Haddaway and eating dinner with the family in their splendid dining room, but those golden times had come to an abrupt end some years ago, and all because Cecily had chosen one brother over another. The course of that day ran vividly in Cecilyâ€™s mind, too — the song, the kiss, a rush of exhiliration, words of tender affectionâ€¦and then her horrible mistake. Even now, thinking back to that dire moment, Cecily felt like crying; with one foolish utterance, she had marred her relationship with the entire Haddaway family, and — until now — the blemish seemed irreparable. It could still be irreparable, Cecily mused as she dipped a paintbrush delicately into a smear of honey-colored paint. In order to calm her nerves, she was working on portrait of her stepmother Arianna, but inevitably her thoughts kept returning to the Haddaways, even more so than usual. These heightened feelings of agitation were the fault of Dorothy Haddaway, who had invited Cecily to her 18th birthday celebration at Haddaway Hall. When the dainty gilt-edged envelope had arrived and Cecily had read the contents therein, she had nearly died of surprise. Dorothy was the only Haddaway who had been civil to her the past few years, but Cecily never expected such a kindess as this. Cecily smiled at the thought of this kindness now as she dabbed a bit of golden paint upon Ariannaâ€™s brow. How strange that Dorothy should have been so unfriendly to her as a child, and so gracious now as a grown woman! Perhaps Dorothy wanted to mend the rift between the two families, or perhaps she wanted Cecily to make amends with Samuel. Either way, she would not refuse the gesture, no matter how nervous she was. Cecily leaned closer to the canvas and marked the fine lines of Ariannaâ€™s eyelashes. As she did so, the flow of her thoughts was interrupted by the sound of someone weeping. Cecily paused and glanced around the room. Frederick and Arthur were engrossed in a game of chess while her father Harry read a medical journal. None of them seemed to hear the sobbing. Cecily set down her palette and brush and made her way into the hallway. The muffled noises of anguish seemed to be coming from upstairs. It was either Arianna or Carol, and Arianna was supposedly taking tea at Mrs. Meldrumâ€™s. Cecily hurried up the stairs. She found Carol in the guest room â€“ Mayhewâ€™s old room. The curtains were drawn; the room was dark, though the last remnants of afternoon glowed outside. â€œWhatâ€™s the matter?â€ Cecily asked, rushing to Carolâ€™s side. Carol smiled through a fresh spring of tears. â€œAre you saying that Iâ€™m a mess?â€ Cecily said, putting her hands on her hips. The hallway echoed with quiet laughter as the two women made their way to Cecilyâ€™s room, which until the week before had been nearly empty. Now it was full of new furnishings and pretty things that Cecily had always wanted. Although she adored the new room, she wasnâ€™t quite used to it yet and always felt like she was intruding upon someone elseâ€™s private space. Cecily smiled, momentarily reassured. â€œBut what will I say to them?â€ She was mostly thinking of Samuel, which Carol seemed to guess at. â€œI know, Iâ€™m lecturing the most beautiful girl in May Green, and any fool who doesnâ€™t see that isnâ€™t worth a bother.â€ Carol nodded authoritatively as if to end all further discussion on the matter. Oh, the suspense! This is just like a scene from Pride and Prejucice. And Cecily looks just beautiful, of course. Wow, what a cliffhanger! I can’t wait until your next update! I wonder how much James has changed? Great work Jen! Ceily has never been as beautiful, she looks great. Can’t wait until the next update, oh pleaz do hurry!!! !The suspense of waiting, oh my gosh your just so crul!!!! Great story as always! I can’t wait til the next update! Cecily is amazingly pretty, I was hoping you would do a 3 page one next eh eh? Well I love your writing I feel she is talking to the reader and inviting them inside! Yo tengo una idea. Posiblemente James se puede enamorar con Cecily, pero cuando Samuel le ve, el esta muy celoso y se enamoro con Cecily tambien. Antes, Cecily no tiene nadie…y puede tener dos hombre muy guapos! Ay ay! Lol, hehe. Well, I await your next post Jen! Wow, Jen… this story is great! Catching up on it all was fun, can’t wait to see how Cecily’s visit goes. She looks quite stunning. I know it’s hard keeping the sim time line straight but 1st; if Cecily was twelve when she decided she wanted to marry James and he was thirteen then in the last couple of stories wouldn’t she have been closer to an adult than fifteen because James even went to college when she was about fifteen. And when Dorothy was first introduced you said she was a little younger than Cecily and she’s having her eighteenth birthday party in this story so does that mean that Cecily is eighteen or older now. I’m imagining this as more reality than sim fiction so that’s my comment on the timeline. Your writing is wonderful and I know it takes a while to write these but I’ve just been itching to make a comment about those minor details. Hey, thanks to everyone for the comments! I’m having so much fun with the Braytons, and it’s very gratifying to know that you’re enjoying them, too. Yeah, I know it doesn’t matter much and I thought there would probably be an explanation like that but like I said I was itching to comment on that. GREAT update! I love it much! The suspense is killing me…soo..suspenseful , no? Haha but anyway good job. Oh and i FINALLY got university..-joyful laughter- keep up the good work! Nita – No, I’m glad you brought it up — I just wish I would have kept better track of ages from the start, because now it’s really hosed up. ;-) I messed around with birthdates this afternoon and realized that even though Arthur is now a teen in the game, he should be only about 8 years old in the story! I had been thinking of him as older, so I’ll just have to rearrange my thinking a bit. Anyway, it’s a GOOD THING you pointed it out to me, because it’ll save me headaches later if I figure this stuff out now. So thanks! One more comment then I’m done! I think I’ve figured Vivi’s spanish out. I’m not good at this but I think it means her idea is that Cecily and James are in love and Samual sees them and for some reason Cecily ends up alone? Like I said I’m not good at spanish. Nope Vivi says… I have an idea;maybe James sees Cecily and falls in love with her, then Samuel sees her, gets very jealous over her and falls for her too; before Cecily had no one and now she has two very handsome men …oh boy! Jen, once again…this story rocks! Cecily is so pretty and I love her hairstyle and outfit…… very nicely done. Aww brilliant update! Can’t wait to see how Samuel and James looks like now. oh the suspense! waiting eargerly to see what happens at the party! I CANNOT believe I’m so late reading this post…playing too much Sims, reading this great book I’ve got…anyway, before I tell myself off, I have to say great update and Carol is such a nice person. Sorry, don’t understand the Spanish! I’m dreadful, really. 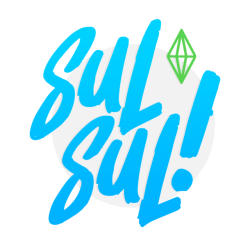 I’m moving to my new school on Monday, so I’m a bit preoccupied…but I’ll always find time for the Sims! prmami you are right! that is what vivi said. Mostly anyway. Great job Ms. Jen on your work! Then it’s a good thing I’m taking Spanish next year. This time this is my last comment. Hey, Jen? How did you get Carol to sit on that chair and sob? =) Usually when my Sims cry they stand up and alla that. It was a happy accident (or unhappy in Carol’s case): she was eating a meal, finished with it, and remained seated, then started crying (from her Aspiration Level being in the red). With the help of move_objects on, I was able to transfer her to the guest room and snap the picture. Yes, I cheated a little. Which brings me to a confession — I’ve given up trying to do the SIMplified U Challenge with the Braytons. Some things like buying clothes have become so incredibly slow on my machine, and it’s easier to just use Pescado’s clothes hack. This frees up more time for taking the pictures and writing the stories, which are what I’ve been having the most fun with anyway. All my cheating, however, is for the sake of the story, and not to make my Sims’ lives easier (as evidenced by Carol being so unhappy, poor woman!). Just so everyone knows, this is final week. which means, Vivi’s mind is going slightly crazy! *Snickers! * Not to worry Jen, I cheat in the name of storymaking as well. moveobjects is really good for getting Sims in the right place at the right time wether they want to or not. :D I’m gonna be updating my blog soon, I’ll tell you when — Helen’s had a baby! And Ocean’s having some interesting body issues as well..
Can’t wait to read the next update. How’s everything with you, Jen? =) I haven’t updated my own blog in a while, but Helen’s now got four kids and counting! They’re all boys, so she’s trying for a girl. Sounds like you’re having fun, Kay. :-) I miss my Legacy Challenge sometimes, just because the gameplay was so fun! But I got pretty burnt out on it — I don’t think I’ve played the Shanleys in months! Wow, is Helen going for the Have 10 Kids want? Four boys? Ay chihuahua! And Vivi, hope your finals went well!